Amid ongoing wars and tragedy, the Middle East is often depicted as just that and only that: war and destruction, a place devoid of hope and color. When we think of the region, arts and creativity are often not what comes to mind, despite the long and rich tradition of artistic expression in the Middle East. We forget that everywhere, from Al-Rowwad youth theater in Aida refugee camp in Bethlehem to beautiful paintings and murals in destroyed neighborhoods in Syria, Arabs continue to use artistic expression as a creative outlet for social change, despite the circumstances. In London, Autumn provides the perfect season for remembering and celebrating Middle Eastern arts and culture. It’s October, which means the annual Nour Festival has arrived onto the streets and exhibition centers in the Royal Borough of Chelsea and Kensington. The annual festival showcases a diverse array of contemporary arts and culture from around the Middle East and North Africa. Bringing artists from 15 different countries, this year’s programme boasts an eclectic mix of film, music, theater, visual arts, poetry, and workshops. Whilst no themes are formally set by the festival’s organizers, migration, identity and loss are recurring themes in many of this year’s lineup. The “Performance Desperately in Need of an Audience” performed by the Arab Puppet Theater Foundation from Lebanon uses satire and humor to tackle and explore the stories of exile and migration in a deeply touching way. The power of storytelling, authenticity and narrative is also explored in the work of French-Algerian artist Katia Kameli’s first UK solo exhibition “What language do you speak stranger?” at the Mosaic Rooms in Earl’s Court. Kameli’s work invites us to reflect on issues of “dual identity, multiplicity, and the potential for residing in an ‘in-between’ space”. These are issues many Arabs in diaspora, both first and second generation, grapple with and navigate daily. This feeling of evolving identities and environments and losing heritage is further explored in “Migrating Histories, Moving Identities” in its mixed media exhibition at NYLA. The diverse and insightful interpretations of similar themes around contemporary Arab identity and their ability to evoke sentiments and induce self-reflection shows the enriching nature and importance of the arts. The festival also showcases a range of other themes, including Egyptian artist Salah el Brogy exploration of memory and access in his original performance of “Glitch”. 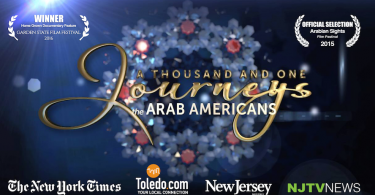 On the musical front, highlights include the Khoury project who meld classical Arabic music with global styles, as well as various oud performances from Joseph Tawadros, Riham Azar and the Yaz Fentino Trio. 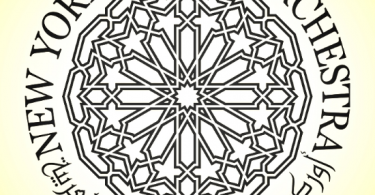 Workshops and learning opportunities include Arabic typography, shadow puppetry and Islamic art digital design. Children are also invited to take part in a kite making workshop using recycled materials. Running until the 6th November, Nour Festival promises to deliver an enriching, thoughtful and thought provoking lineup. The growing success of Nour Festival is one example of the increasing London-based interest in art from the MENA region, with the growing number of MENA focused exhibition spaces and networks across London. One such network is Reconnecting Arts, which aims to provide a platform for emerging creatives from the MENA region to showcase their work and in doing so, create greater opportunities for MENA creatives to network and collaborate on projects. Where there is an abundance of orientalist and homogenizing depictions of the Middle East in both the media and the arts, Reconnecting Arts provides a much needed platform which empowers artists to reclaim their narratives, creating greater dialogue and discussion about the politics of representation and visibility in artistic circles. Reconnecting Art will be running a series of events from 10th November until 20th December which will showcase contemporary art from Qatar from both established and emerging artists and filmmakers. The programme’s line-up includes artists talks, embroidery and Islamic illumination workshops and film screenings. In times of such tremendous socio-political and digital change across the region and the world, there is great value in appreciating and supporting artists from the Middle East in their work and storytelling. London offers perfect opportunities for this.